The barley wine ’t IJ Struis ($3.12) is made by Brouwerij ’t IJ from Netherlands and shows an alcoholic strength of 9%. Uvinum users reviewed tihs beer with 4,3 of 5 points. Brouwerij ’t IJ Struis completes the game of 8 standard beers produced by the brewery Brouwerij ’t IJ. Others are the beers Natte, Zatte and Columbus. All 4 of them are certified organic. - Appearance: Brouwerij ’t IJ Struis has a dark brownish red color with a dense and persistent beige foam that lasts well come to having drunk half. - Body / Flavor: The palate is quite creamy and now if you notice a little alcohol in the aftertaste, but half notes that much creaminess and sweet malt on the palate. BasBrasserie 't IJLa beer' t IJ is Struis type barley wine. His strong character made her one of the best in its class. - Color: 't Ij Struis has a dark color. - Smell: The aroma is sweet with notes of chocolate and nuts. - Taste: The aftertaste is dry and durable and leaves you craving more. Ostriches t IJ Brewery is a barley wine with a deep and dark color. The taste remains long in the mouth. 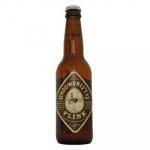 If you want to buy ’t IJ Struis, at Uvinum you will find the best prices for Netherlands Barley wine Beer. On sale at Uvinum, easy and 100% safe. We have over 59.000 products for sale which makes us the leading marketplace for wine, beer, and spirits in Europe with more than 38.000 customers trusting us.